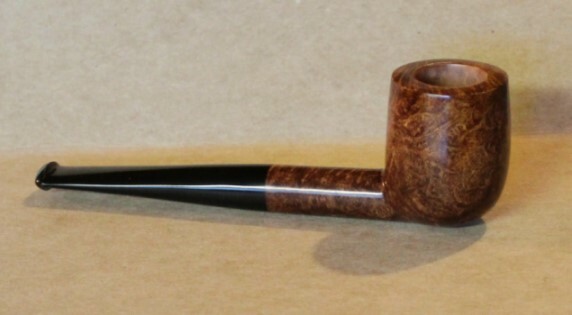 This is a smaller pipe, probably flake-oriented or just for those looking for a shorter time frame. A #1 grade crosscut, this is birdseye city. 26 grams, just under 5 1/2″ long, and a fairly small chamber, 3/4″ by 1 1/8″ or so. 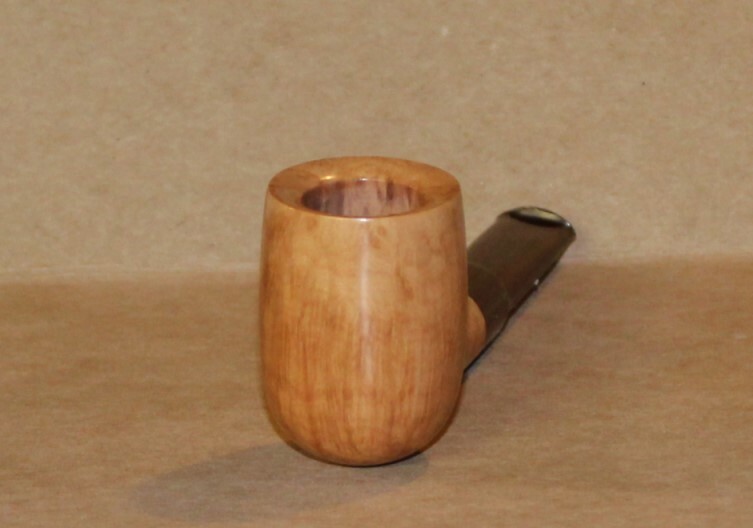 Still lots of briar on the walls, this is not a “skinny” pipe, it’s reasonably stout, but this old wood doesn’t weigh much. Ebonite on the business end. Looking at my blocks, I am starting to get a pretty big collection of big half-moon pieces. These show up with almost every order, and at first I was kind of excited about them, but you can only make so many hunting-horns, too, and I started putting them aside. Well, to hell with it, I’m going to make pipes with them. The nice thing is, you can get a good long-shanked pipe out of these moons, often with nice grain. 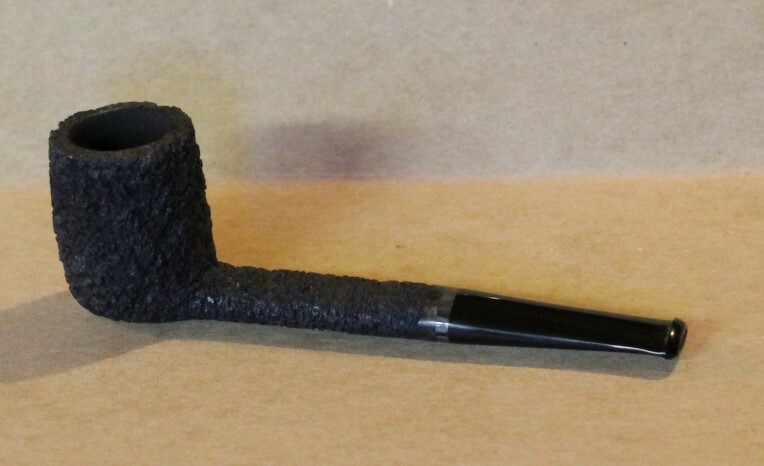 The piece in question had absolutely nothing going on in that department, just a swirling mess of briar, so I cut a Sea Rock style rustication into it. 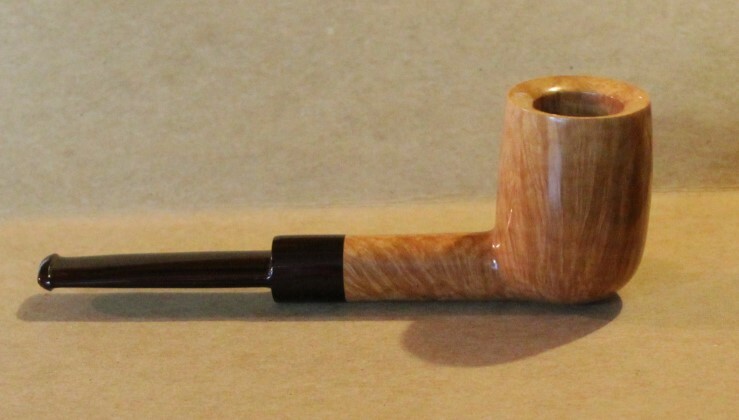 Very light at 26g, this is not a super long pipe, it fits well within norms at 5 1/2″ long. Squat and a little square, kind of a low-slung approach to a Canadian shape. 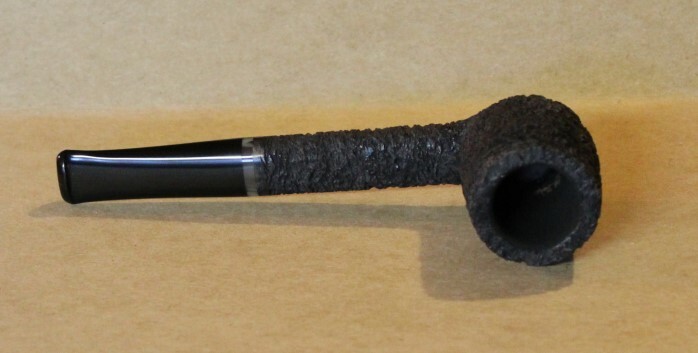 Ebonite stem has a faux-horn ring on it. Other than that, it’s black with just a peek of wood-tone underneath. Chamber is 13/16″ by about 1 1/4″. 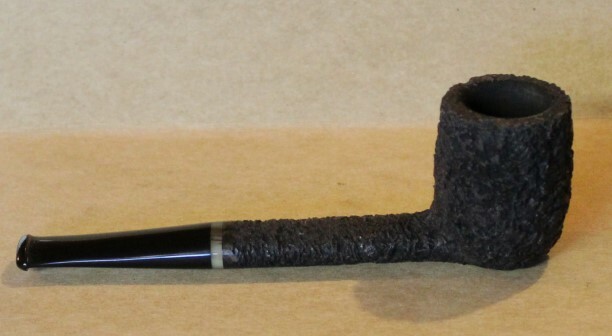 I did the bad thing and coated it with a neutral carbon mix – the pipe looked like second-hand garbage in photos without the bowl coat. 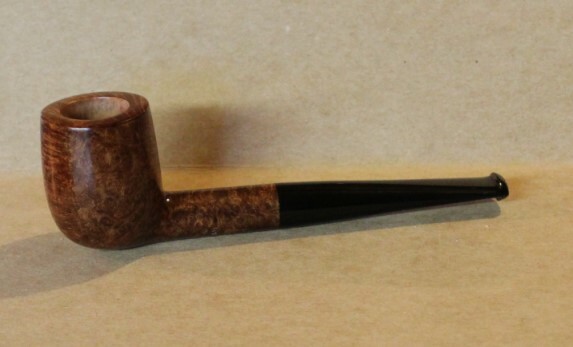 Hey everybody, I just want to add a note here – sorry there have been so few pipes listed. I’m not dead, not quit, nothing like that. I have all kinds of stuff going on that is keeping me out of the shop, like making a new bathroom for Mrs Squatch. What happens at times like this is I get behind, and any pipe I make is claimed ahead of time, so I stay behind. I can’t catch up on commissions and I can’t get anything to the site. 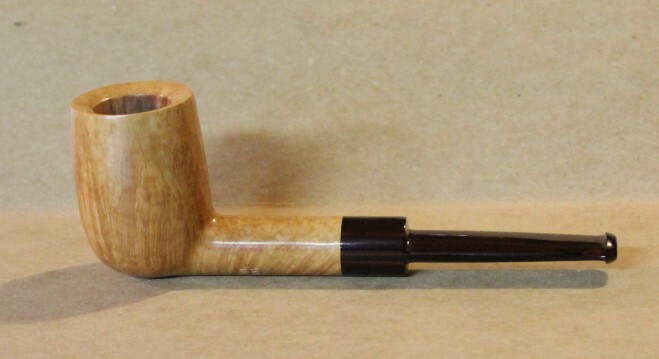 If you are interested in a pipe, please contact me and we can chat about it, but don’t despair at the lack of change here on BSTpipes – there’s lots of pipes going out the door, just, the only person that sees most of them is the buyer. Thanks for your continued support! I am flattered.